Start off your visit on the 28th (Fri): examine the collection at Cologne Chocolate Museum, then take in the views from Hohenzollern Bridge, then enjoy breathtaking views from Rhine Tower, and finally admire the striking features of Cologne Cathedral. Here are some ideas for day two: find something for the whole family at Phantasialand. 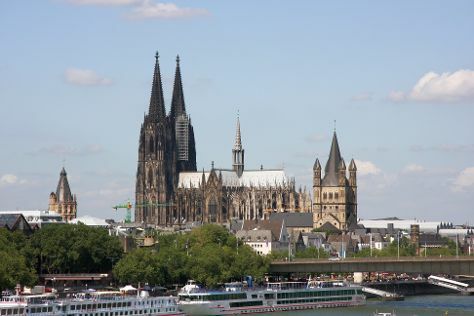 To see reviews, photos, traveler tips, and tourist information, go to the Cologne travel itinerary creator. Use the Route module to find travel options from your starting location to Cologne. In April, daily temperatures in Cologne can reach 18°C, while at night they dip to 6°C. Finish your sightseeing early on the 29th (Sat) so you can travel back home.